The rumors are true. 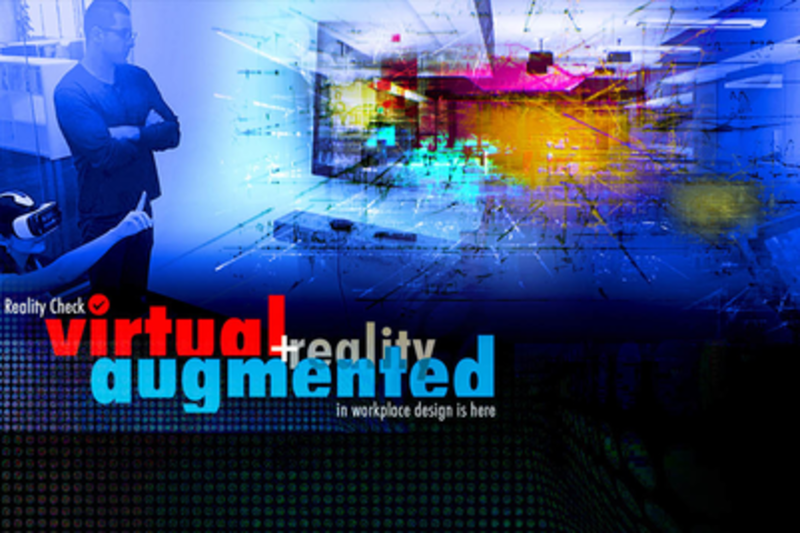 Virtual and augmented realities (VR & AR) are disrupting workplace design at an accelerated pace. Beyond disrupting this industry, VR & AR are cultivating the rise of empathetic design as users bring their real-world experiences into virtual & augmented environments. This approach to visualization is helping to define and shape the design process. This interactive demo and panel discussion will integrate perspectives from four professionals’ experiences. Each panelist will convey how they have employed VR & AR and identify future implications. Participants will leave this session with a first-hand experience of how to solve design challenges with the help of VR & AR. Angel is Co-founder and CEO of InsiteVR, a company building a platform for architects and designers to easily create virtual reality presentations from their 3D designs. After winning first place for InsiteVR’s initial prototype at the 2014 TechCrunch Disrupt NY 24-hour hackathon, Angel quit his full-time job to explore the impact that virtual reality could have on the architecture industry. In January 2015, InsiteVR joined Y-Combinator's Winter 2015 batch as one of YC's only VR investments. Today, Angel is already seeing the impact VR is having on the way architects and their clients communicate and think through the design process. After just a year, InsiteVR has enabled some of the top architecture firms and home builders across the country to start presenting their designs in VR and is becoming a leader in enterprise virtual reality software. From offices for top tech companies in Silicon Valley to new homes in New Jersey, InsiteVR has started to transform the design and sales process for new construction. A licensed architect, Guy’s career as a design professional and educator spans over 30 years. Trained in fine arts, design, and woodworking, Guy finds architecture to be the profession that best unites these disciplines. Guy recognized early on that the adoption of digital technologies in the architectural profession would dramatically change how information is shared and developed across all stages of the design process. He works directly with owners groups, stakeholders, agencies, consultants, and design teams to advise on the strategic integration of Building Information Modeling (BIM) workflows throughout the project lifecycle. Kelly is a Workplace Strategist in the commercial design industry solving architectural and organizational challenges with innovative solutions including virtual and augmented realities. Despite her background in design, Kelly is a systems thinker who aligns an organization’s assets with its business strategy by exposing and activating traditionally overlooked or untapped connections. Immersed in studies outside her line of work since 2012, she is leveraging methodologies and tools not customarily used in the workplace design industry to improve decision-making in the design process and to craft immersive workplace experiences for her clients. Her skills in data analytics fused with her expertise in workplace human dynamics allows her to interpret VR and AR data to transform it into valuable insight for workplace planning and workforce change. She is a regular contributor to her company’s blog and can be found at the intersection of architecture, well-being, and tech.